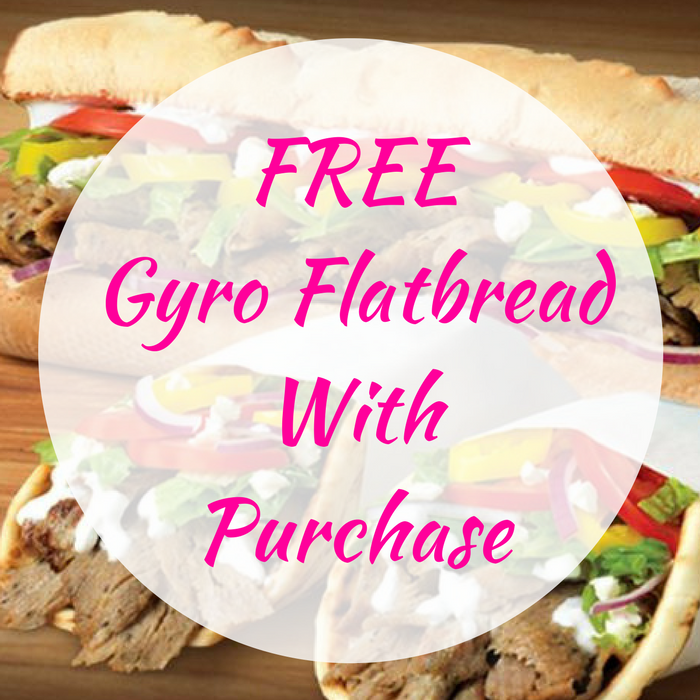 FREE Gyro Flatbread With Purchase! You are here: Home / FREEbies / FREE Gyro Flatbread With Purchase! On October 25 only! Head over to Quiznos to score a FREE Gyro Flatbread With Any Purchase! There’s no coupon needed! The offer is valid at participating US locations and has a limit of one per person! Awesome!